A RECENTLY married couple had life ripped out of them in a horror smash on their way to their honeymoon. 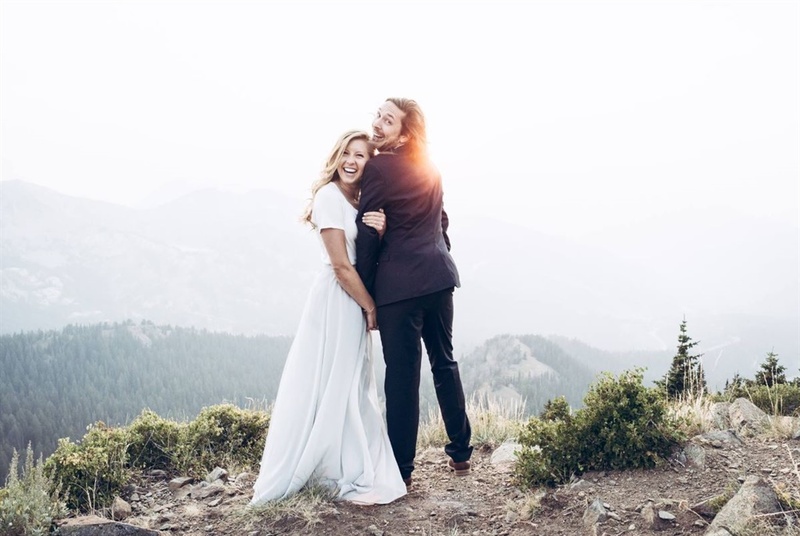 According to The Spokesman-Review, newlyweds Amy Moffat (28) and Stephen Graham (30) were on their way from their home in Utah, America to a town in Canada almost 2 000kms away. Officials believe Amy may have fallen asleep at the wheel, causing their Ford F150 bakkie to drift to the left. She then overcorrected, causing the vehicle to roll, lift in the air and then come smashing down again. It is believed they died instantly. In a haunting Facebook message posted just over two weeks ago, Amy spoke of her intense joy she felt at living with Stephen until “death do us part”. She wrote: “This weekend I felt like the luckiest girl in the world. “For a few reasons, Stephen and I decided to be married in an intimate civil ceremony with our immediate families. Beside a babbling summer creek, Stephen and I, in joyful disbelief, united our lives together and became husband and wife. “I can’t tell you how much I love this man. I’ve never felt more loved, or have been treated more like a queen, than by anyone else in my life. Stephen is more than I could’ve ever asked for in a partner, in a lover, in a best friend. “For now our marriage is until death do us part. But soon enough we can go to a temple of God and have our marriage sealed for eternity.